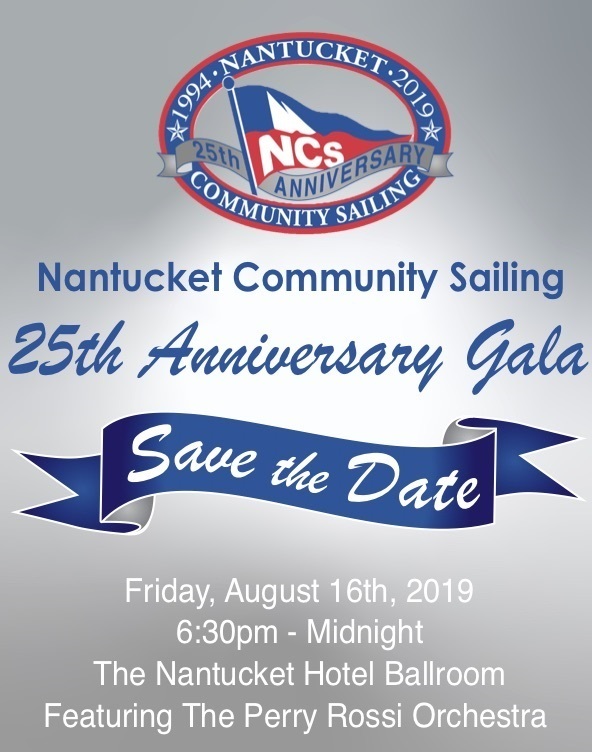 Please join us as we salute Nantucket Community Sailing's 25th Anniversary! followed by a fabulous seated dinner and an incredible live auction of a few special items. The evening concludes with dancing to the Perry Rossi Orchestra and open bar until Midnight. All Sponsors will be recognized in the Gala program. We look forward to raising a glass with you in celebration of our 25th! PLEASE NOTE: Thanks to our generous sponsors, all of the tables are committed. We may be able to release some individual tickets to the event at a later date.